Despite our hopes that 2017 would be a marked improvement on the turbulent 2016, this year came with more bumps, twists and turns than the Big One at Blackpool Pleasure Beach. But, as usual, it was an excellent year for bookworms and the good reads kept on coming. 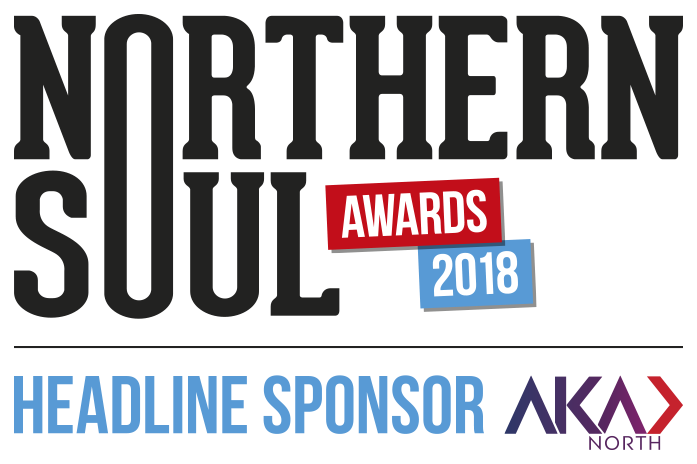 At Northern Soul, we’ve devoured lots of books and made our way greedily through a whole host of fantastic titles. Some of these books have been exciting new publications, some were much-loved copies of great classics that take pride of place on our bookshelves, and some have been more unusual titles. Here are our favourite 2017 reads. Maybe some of them made it to your top picks too? I have a love/hate relationship with Christopher Fowler. I discovered his series of detective novels earlier this year and have been in one and a half minds ever since. 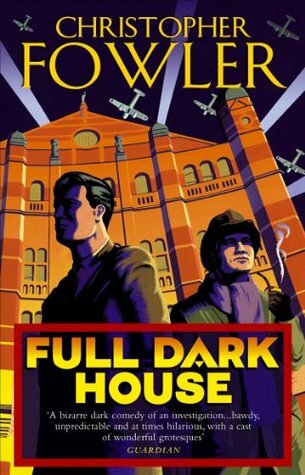 Nevertheless, following my hoovering up of the first Bryant and May mystery – Full Dark House – I’ve become an addict. Much like 2016 when I devoured everything Jasper Fforde had ever written, I’ve gone at them like a woman possessed. 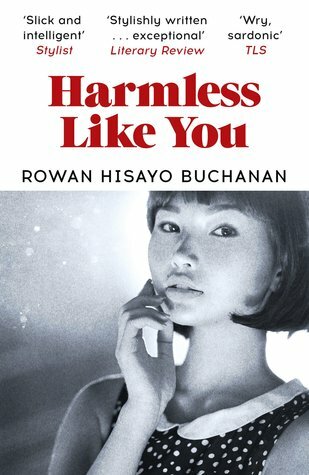 It’s hard to keep track but I think the most recent Bryant and May book that I’ve read was, erm, maybe the 13th in this genre, a specific world in which two elderly detectives use their encyclopedic knowledge of London, and North London in particular, to solve peculiar and astonishing crimes. I’ve done a terrible job of pacing myself when it comes to new stories, and, if Google searches are correct, I’m nearly at my limit. Sigh. The thing is this, though. 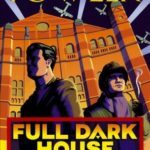 In Fowler’s early mysteries, there’s a vaguely dirty sense of misogyny and bitterness. This abates somewhat as he gets into his stride, but it bothers me. Then there’s the ‘please cough up the thesaurus you swallowed’ annoyance. Again, this is less overt as the series gets going but it’s no exaggeration to say that Fowler inserts words that Socrates would struggle to understand. Having said all this, there’s no denying the fact that I have binged the Bryant and May mysteries like my life depended on it. Whatever his faults, Fowler tells compelling and hugely enjoyable stories. 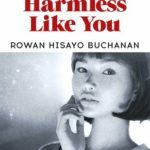 Harmless Like You by Rowan Hisayo Buchanan is something else altogether. A first novel, it’s not my usual cup of tea but I was swayed by the glut of good reviews which, among them, dubbed this book as “beautifully textured” and “a startling debut”. First published in 2016, I got hold of the paperback earlier this year. 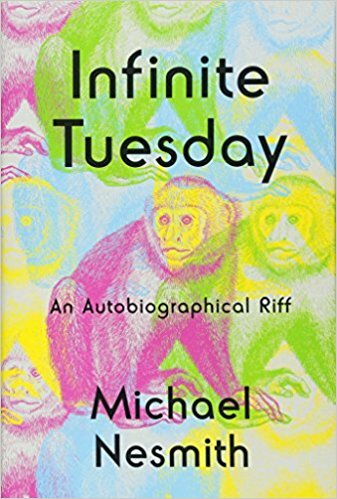 To talk about the text would be to ruin it, suffice to say that this exploration of our conflicting and messy desires, as well as the holes in human life, are necessary and vitally important. There are moments where, as a reader, you feel detached and uncaring, but the author’s skill is such that she scoops you back up and makes you cry. There’s always a pressure in these end-of-year lists of wanting to seem clever and well-read. For some reason, authors who sell gazillions of books are excluded from the high-brow hoi polloi. 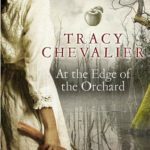 Take Tracy Chevalier, for example. The second she wrote that “the colours fight when they are side by side” was, to anyone with a brain in their head, the moment that Girl with a Pearl Earring became a bestseller. 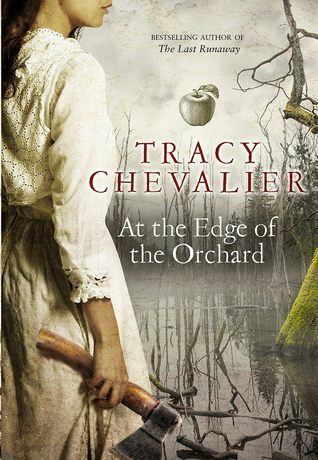 I liked that book but I don’t think it can hold a candle to At the Edge of the Orchard, published in paperback in 2017. To be honest, if you asked me to summarise the plot, I’d be hard-pressed to comply. I dived into this novel, plunged my head underwater, and when I surfaced I was befuddled, clouded, questioning and all the better for the experience. 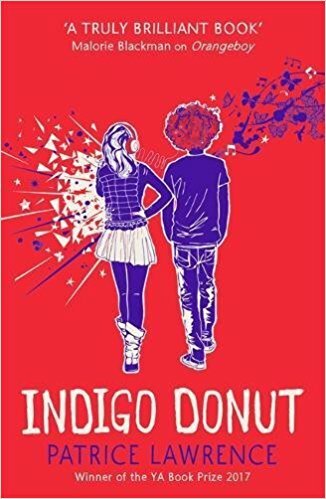 I’ve read a lot of fantastic Young Adult fiction this year, but the stand-out title is Indigo Donut by Patrice Lawrence. It was given to me as a present and, as soon as I began reading, I couldn’t put it down. The 17-year-old Indigo has had a tough start in life, having grown up in the care system after her dad killed her mum. Bailey lives with his parents in Hackney and sports a large ginger afro. They meet at sixth form college and, naturally, crushes form and sparks fly. But this isn’t a typical teen romance (I promise, there’s not a werewolf or vampire in sight), rather it’s a well-written tough tale of secrets, trust and belonging. 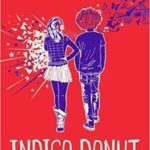 Thoroughly recommended if you’re a fan of YA. The ‘self-help’ genre has enjoyed a bit of a resurgence of late (and has even been rebranded as ‘personal development’ which makes it sound like a GCSE class) and, although it might cause you to roll your eyes when perusing the shelves of your local bookshop, these tomes are everywhere. 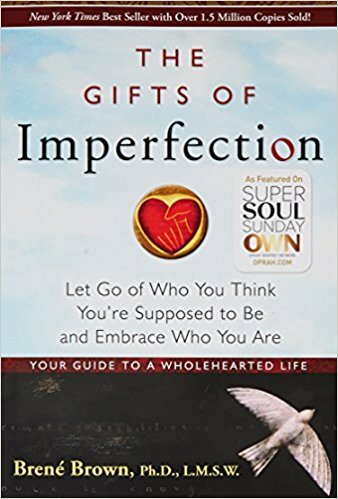 One of these titles is The Gifts of Imperfection by Brené Brown, a leading expert on shame, authenticity and belonging, where she shares what she’s learned from a decade of research. The book explores notions of ‘perfection’ and how mental well-being and self-image is impacted by a barrage of images and messages from society and the media. I understand why people might shy away from novels in this field but I love reading about psychology, and figuring out what makes us human beans tick, It’s a thoroughly interesting read and I defy the fiercest cynic not to recognise themselves within its pages. Brown’s latest book, Braving the Wilderness, is firmly at the top of my Christmas list. I also devoured Big Magic: Creative Living Beyond Fear by Elizabeth Gilbert. The popular author shares her wisdom and understanding of creativity and shatters the myth that the creative process should be a struggle – and it delights me that both Gilbert and Brown are friends. 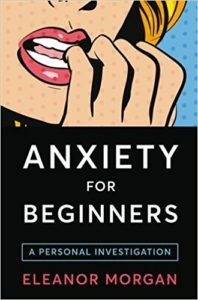 This year I also finally found the time to finish Eleanor Morgan’s Anxiety: For Beginners. 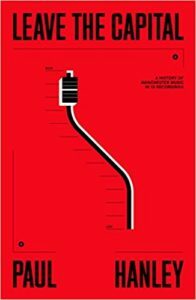 A former senior editor at VICE and fellow anxiety sufferer, Morgan penned this book, dubbed a ‘personal investigation’, to offer an insight into the oft-crippling impact of anxiety disorders and to highlight how they are frequently misunderstood. 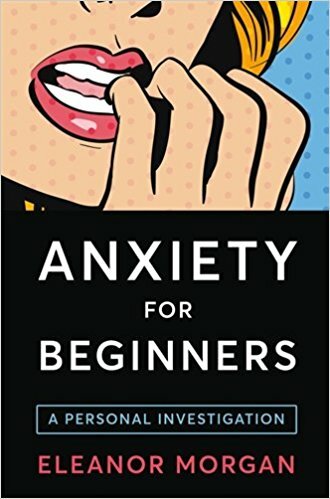 Filled with a mixture of anecdotes (if you’ve ever experienced a panic attack, the book begins with a relatable, almost funny, story), personal history, interviews with health professionals (neuroscientists, psychiatrists, psychologists and fellow sufferers) and opinion pieces, this book gets to the heart, soul and noggin of anxiety in our modern lives. Plus, I love Morgan’s writing style – it’s almost like listening to a mate talk – and she’s now training to be a psychologist. My book of the year by a very long chalk is Paul Hanley‘s Leave the Capital. 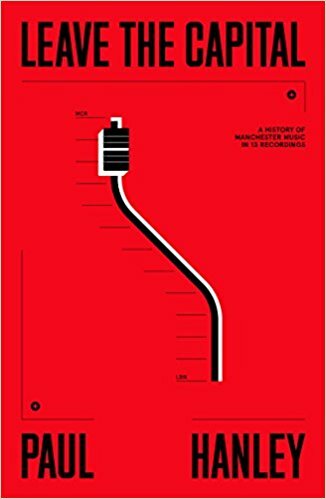 The subject matter, the history of Manchester music, is something which fascinates me anyway, but Hanley relates it in a way which is fresh, smart, uncluttered and often extremely funny. 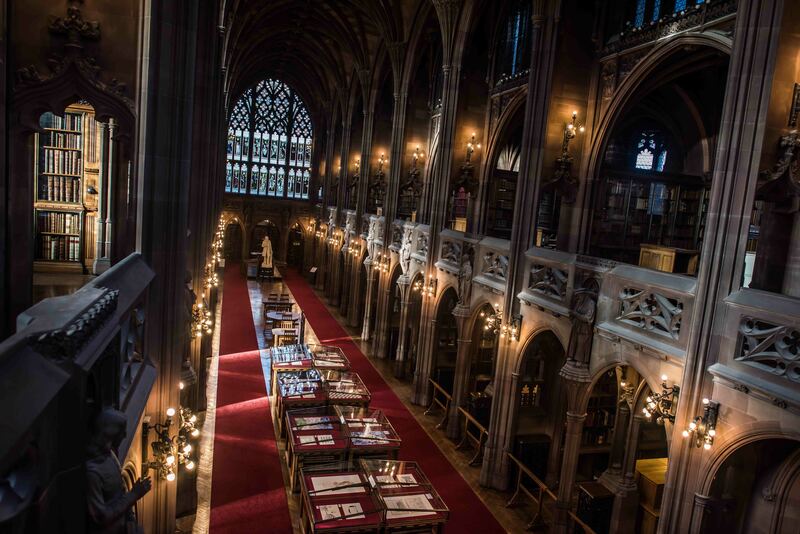 His gist – that Manchester has excelled because it’s determined to do the whole shebang right here rather than kowtow to London – makes complete sense. 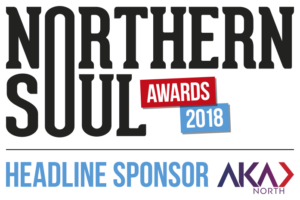 And like all the best music books, you come away with a list of songs that you suddenly want to hear (the upshot here is that I’m now a bit obsessed by No Milk Today by Herman’s Hermits). I’ve also really enjoyed The Candy Men by Nile Southern, telling the full engrossing tale behind the uproarious and hugely saucy 1958 novel Candy. 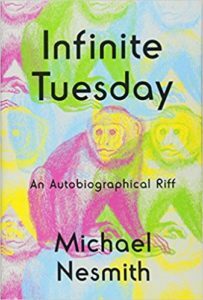 And Michael Nesmith‘s Infinite Tuesday is an often fascinating, occasionally frustrating look inside the mind of the man who brought a folk-rock influence to The Monkees and inherited a fortune from his mother because she invented liquid paper. This is art but not as we know it. 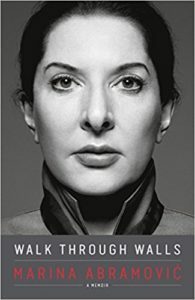 Marina Abramovic is one of the edgiest and most amazing performance artists in the business. Walk Through Walls is a fascinating look at someone who is totally committed to their art and driven solely by it. As a taster, one of her most infamous performance pieces was providing 72 items and allowing the public to do whatever they liked to her. After six hours she had narrowly avoided being shot and sexually assaulted and was covered in blood. This is not for the faint-hearted. Abramovic is totally uncompromising and honest in her depictions of relationships, and for someone so switched on to her own inner self, she has shockingly bad taste in men. I would heartily recommend this book, even if it’s just to see what all the fuss is about. I love an epic tale, and Patrick Gale‘s A Place Called Winter is just this but on a smaller scale. It’s the start of the 20th Century and posh Harry Cane has been ostracised from his family and sent to Canada to avoid imprisonment. The book follows the shock to his system and how he turns his hand to an entirely different life while trying to repress his sexuality. It follows his story over decades and is brilliantly accessible. Gale is an exceptional writer and this foray into historical fiction is perfect. More please, Mr Gale. 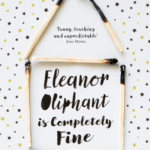 My book of the year has to be Eleanor Oliphant is Completely Fine by Gail Honeyman. I absolutely loved it. The story is a perfect example which demonstrates that, if you create fantastic characters, you don’t need a rollercoaster of a narrative to keep your reader hooked. 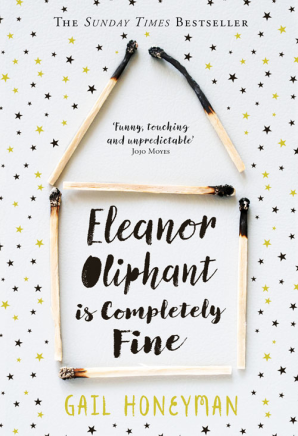 Eleanor Oliphant is a young lady who thrives on order and routine. This is all turned upside down as life throws little challenges at her and, as a reader, you’re on the edge of your seat. It’s a charming tale which leaves you thinking about the characters long after you’ve finished turning the pages. My mother once said of Marcel Proust that you need a good, long spell in hospital in order to break the back of him. Although denied the pleasure of that ‘leisure’ time, I’ve nevertheless managed not so much to break the back of the six-volume stream-of-consciousness epic of À La Recherche du Temps Perdu, but certainly to give the English version of the French masterpiece a good massage. The benefits of licking this purest of literary honey as it drips between your fingers are endless, but one downside is that you don’t manage to read much else – at least, I don’t, being a slow reader. In my defence, when it should be made a legal requirement to spend weeks on Proustian paragraphs instead of minutes, you tend not to make much progress and the years go by. Like a good, slow meal, to use a mediocre simile that would make Proust vomit, his novel is meant to be savoured, not devoured. Take your time – take your lifetime. I’ve never read anything better; I don’t think I will. 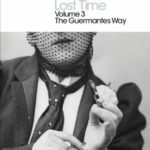 It seems to me that Proust, in a nutshell – or more appropriately in a madeleine (Proust-fan-in-joke) – is a sensation-by-sensation deconstruction of memory, almost from birth, once the sudden and dramatic recollection of your earliest past has spilt all over you in public, half-way through a biscuit. That woolly and prolix summary may not be a nutshell, but Proust doesn’t do nutshells. 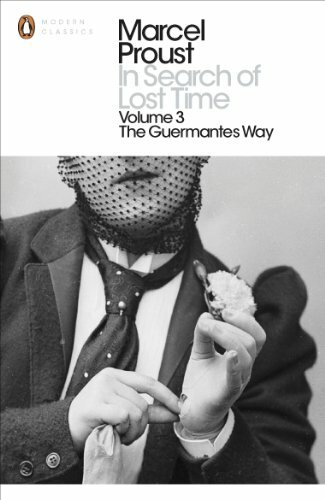 This volume (of the Penguin Proust, the first translation since the 1920s) is the third, and it’s not a spoiler to reveal that it’s as deceptively and brilliantly plotless as the previous two. There are, yet again, no car (or charabanc) chases, no murders, no ripping bodices and nothing seems to happen…apart from everything. No, I don’t understand that sentence either. You should try Proust if you think that’s incomprehensible: reading as far as the first comma in one of his sentences is like trying to swim two lengths under water. Proust didn’t sleep at night because he was too busy writing, and didn’t write in the day because he was too busy sleeping. 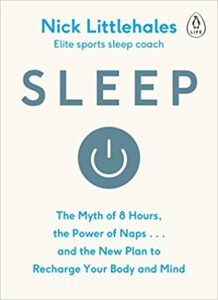 He might well have benefited from a book that has to be close to the polar opposite of his magnum opus: the tiny, thin, snappy Sleep, by elite sports sleep coach Nick Littlehales. 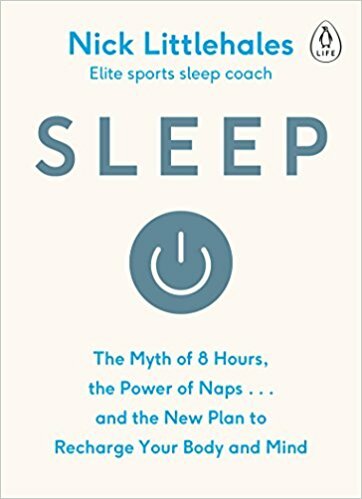 Sleep, The Myth of 8 Hours, the Power of Naps … and the New Plan to Recharge Your Body and Mind is the antidote to insomnia. Littlehales has worked with Olympic Gold medallists (but don’t be fooled into thinking he can make one of you) and he will talk you through the many compelling reasons why it’s time to wake up to the vital importance of preparing for, and protecting at all costs, a decent night’s sleep, whether you’re an elite athlete or a best-in-show couch potato. 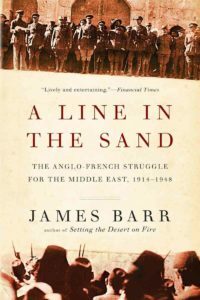 A Line in the Sand is an eminently readable account of the politics that led to the carve up of the Middle East at the end of the First World War. 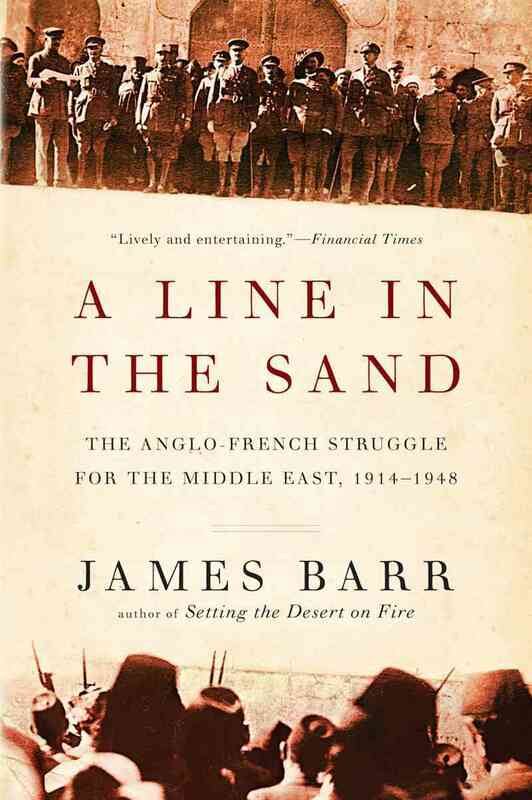 Author James Barr has read all of Britain’s Cabinet papers as well as the archives in Paris and the US. He tells the story of a British government fighting a war with Germany and its allies the Turks, knowing that, if we won, our main competitor for the spoils would be our old enemy, the French. At this time, there was considerable anti-colonial feeling both at home and in the USA. Arthur Balfour was Prime Minister in 1905 when the Aliens Act was passed, the first Act of Parliament to limit immigration to the UK, and it was particularly aimed at Jewish immigration from Russia. More than 150,000 Jews came to Britain in the 19th century to escape the pogroms and other persecutions in Russia, with the numbers peaking in the 1880s and 1890s. This brings us to Chaim Weizmann. Weizmann was a Russian Jew, brought up in the Pale of Settlement in Belarus. 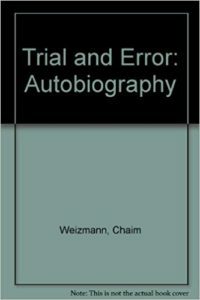 His autobiography, Trial and Error, is worth reading solely for the descriptions of the pogroms and other persecutions inflicted on the Jews by Czarist Russia. 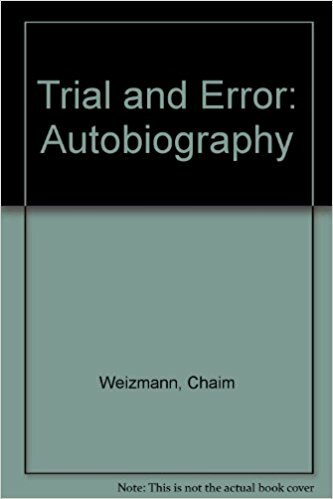 Weizmann’s father was a timber merchant and his son did well in his studies. Along the way he was introduced to Zionism. In 1904, Weizmann moved to Manchester. He had no job but he rented a basement lab in the Chemistry Department at Manchester University, and began his research. To know what happened next, you need to read his book. The evidence is mounting. The mismatch between what our bodies evolved for, and what they’re used for now, is making us sick. If we think in terms of ‘geological time’, Palaeolithic humans owe us a lot, not least because they worked hard to form well-developed lower legs and feet. We in the Anthropocene have weak core strength and flimsy and wasted muscles compared to the humans of what was (in evolutionary terms) yesterday. We were, as Springsteen so nearly put it, evolved to run. 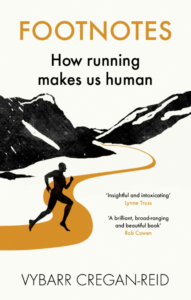 Vybarr Cregan-Reid’s Footnotes: How Running Makes Us Human combines memoir, cultural history, and leading-edge science to offer us a way back to it. Of course, it’s good for your body, but this isn’t a book exhorting you to go shuffling onto a treadmill in a gym, eyes glued to a screen, earbuds allowing you to listen to your favourite tunes. How many of those runs will you remember? A good psychogeographic stroll is all very well, but you know your place differently if you are running through it. The book is packed with reflections on the cultural history of our relationship with the outdoors, pulling in everyone from Hardy to Tolstoy. It’s also full of beautifully written accounts of his own memorable runs, ranging from the everyday park run to exercise in Venice and California. I’ve been a fan of Paul O’Grady since seeing Lily Savage in Blackpool in the early 1990s. 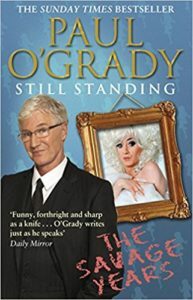 This year I finally caught up with the third part of his autobiography, Still Standing: The Savage Years. It’s winter in the early 80s and there’s no money for the meter, but the show must go on. Specifically, the show must go on in full slap and wig in Huddersfield to make the money to buy tomorrow’s breakfast.